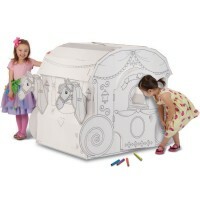 This Sweetheart Cafe pretend play set includes 40 pieces to open kids restaurant wherever your child goes! 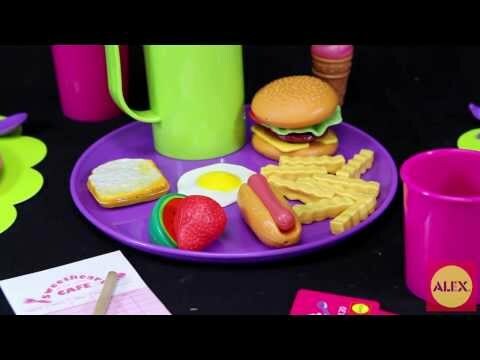 Welcome to the Sweetheart Cafe! 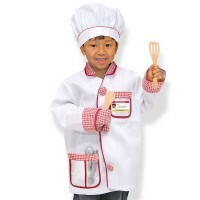 May I take your order? 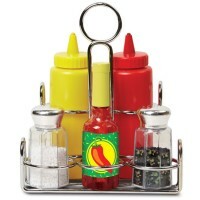 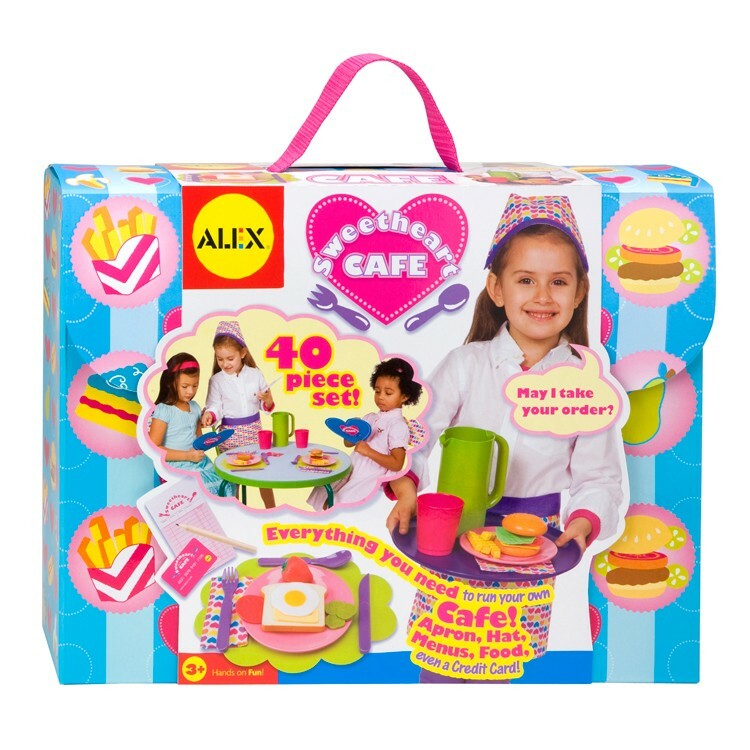 Kids will be delighted to open their own restaurant with this terrific pretend set by Alex Toys. Sweetheart Cafe Pretend Restaurant Set brings 40 pieces to inspire children to play restaurant for hours of pretend fun. 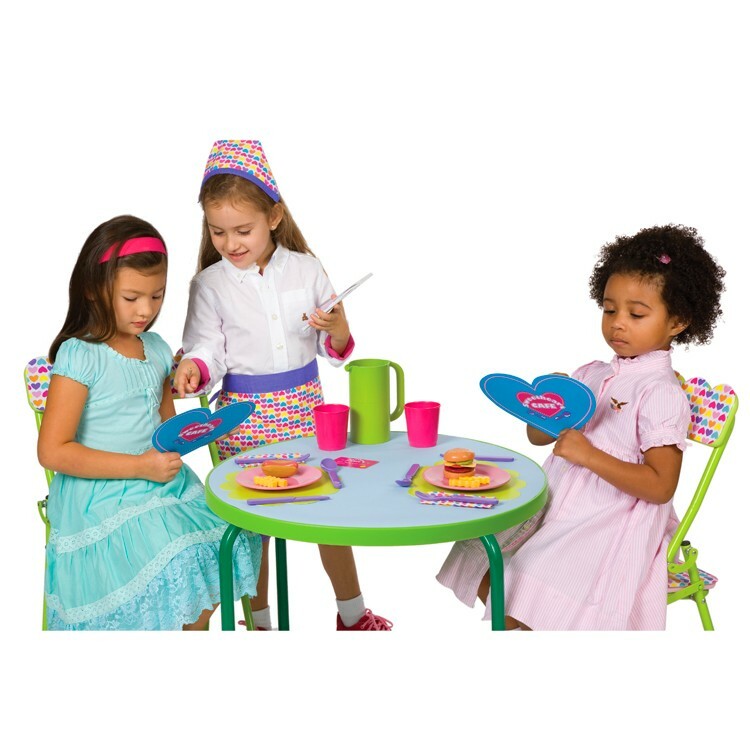 This kids cafe play set comes with the waitress apron and hat, guest check pad, menus, pencils, credit cards, play food, and kids dishes. 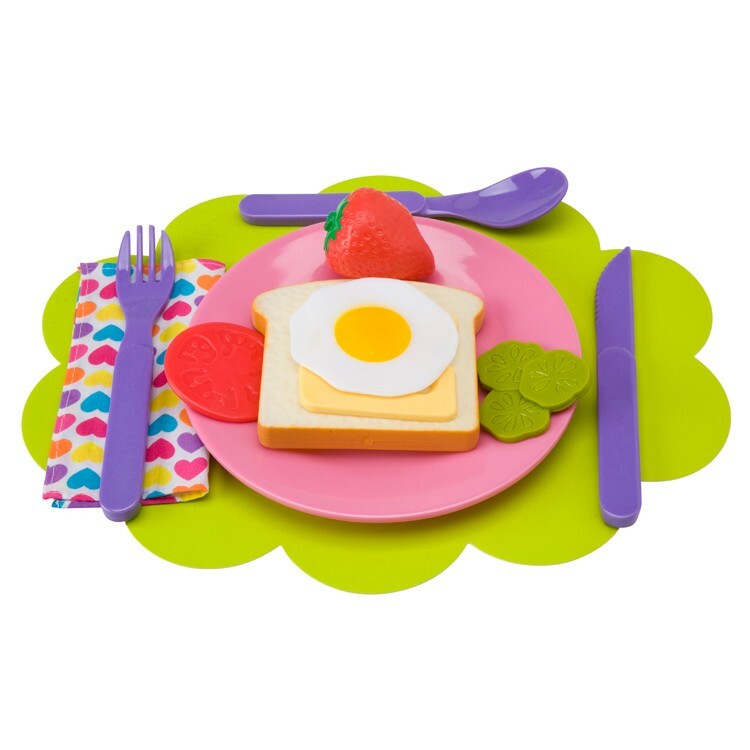 Sweetheart Cafe Pretend Restaurant Set includes place mats, plates, cups, forks, knives, and spoons to serve your cafe visitors in style. 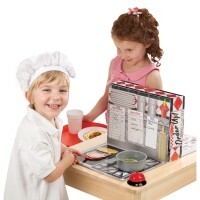 Kids can take orders, serve dinner, take credit card for payment, and have tons of role playing fun with this restaurant playset from Educational Toys Planet. 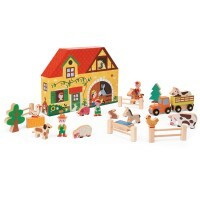 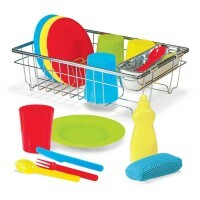 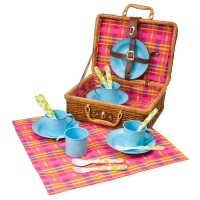 This play restaurant set is one of the bestselling gifts for girls. 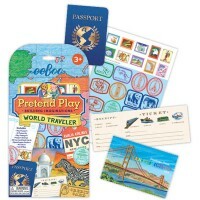 Play pretend cafe with your stuffed toys, friends, or family and don't forget to be polite serving your guests! 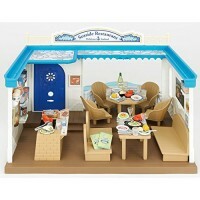 Dimensions of package 10.5" x 4" x 14"
Write your own review of Sweetheart Cafe Pretend Restaurant Set.